I was very fortunate to get a preview version of the "RasPad" from SunFounder. Check it out at https://raspad.sunfounder.com/ and at the time of these writing they have a Kickstarter I'm backing! I've written a lot about Raspberry Pis and the cool projects you can do with them. My now-10 and 12 year olds love making stuff with Raspberry Pis and we have at least a dozen of them around the house. A few are portable arcades (some quite tiny PiArcades), one runs PiMusicBox and is a streaming radio, and I have a few myself in a Kubernetes Cluster. I've built Raspberry Pi Cars with SunFounder parts, so they sent me an early evaluation version of their "RasPad." I was familiar with the general idea as I'd tried (and failed) to make something like it with their 10" Touchscreen LCD for Raspberry Pi. At its heart, the RasPad is quiet elegant and simple. It's a housing for your Raspberry Pi that includes a battery for portable use along with an integrated touchscreen LCD. However, it's the little details where it shines. It's not meant to be an iPad. It's not trying. It's thick on one end, and beveled to an angle. You put your RaspberryPi inside the back corner and it sits nicely on the plastic posts without screws. Power and HDMI and are inside with cables, then it's one button to turn it on. 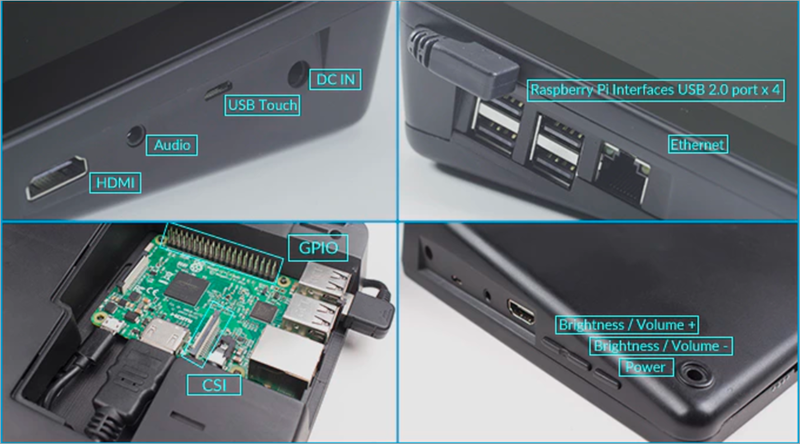 There's an included power supply as well as batteries to run the Pi and screen for a few hours while portable. I've found with my 10 year old that this neat, organized little tablet mode makes the Pi more accessible and interesting to him - as opposed to the usual mess of wires and bare circuit boards we usually have on my workbench. I could see a fleet of RasPads in a classroom environment being far more engaging than just "raw" Pis on a table. 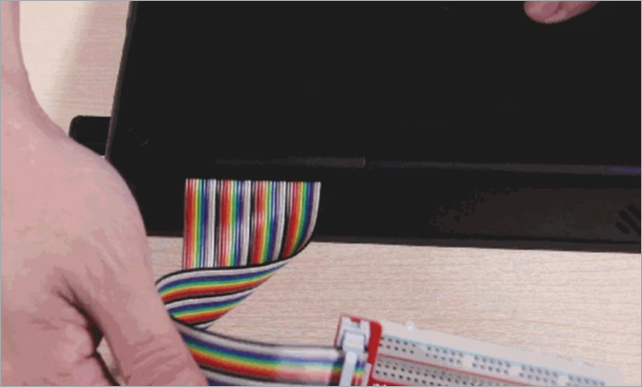 At this point you can do all the same cool hardware projects you can do with a Raspberry Pi, with all the wires, power, touchscreen, ports, and everything nice and sanitary. 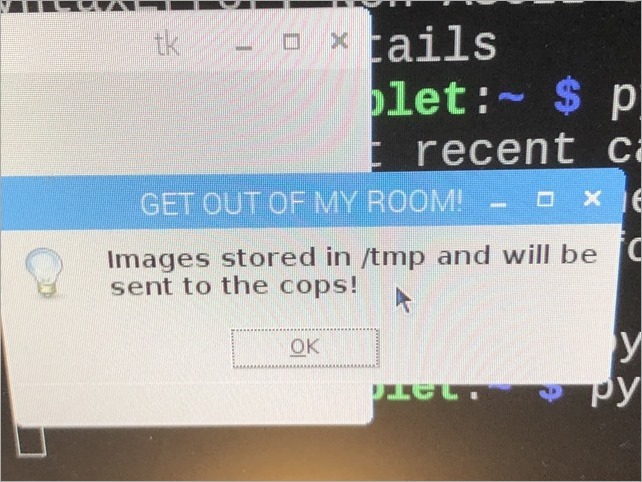 I asked my 10 year old what he wanted to make with the RasPad/Raspberry Pi and he said he wanted to make a "burglar alarm" for his bedroom. 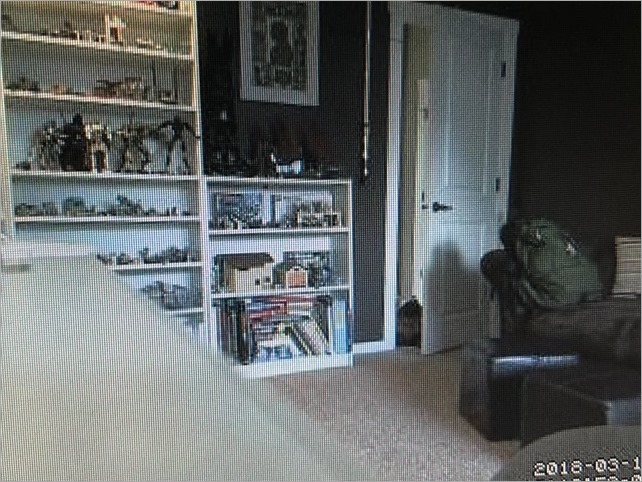 Pretty sure he just wants to keep the 12 year old out of his room. We started with a Logitech 930e USB Webcam we had laying around. The Raspberry PI can use lots of off-the-shelf high-quality web cams without drivers, and the RasPad keeps all the USB ports exposed. Then edited /etc/motion/motion.conf with the nano editor (easier for kids then vim). You'll want to confirm the height and width. Smaller is easier on the Pi, but you can go big with 1280x720 if you like! We also set the target_dir to /tmp since motion's daemon doesn't have access to ~/. There's a number of events you can take action on, like "on_motion_detected." We just added a little Python script to let people know WE SEE YOU"
It's also cool to set location_motion_style to "redbox" so you can see WHERE motion was detected in a frame, and be sure to set stream_localhost to "off" so you can hit http://yourraspberrypiname:8081 to see the stream remotely! 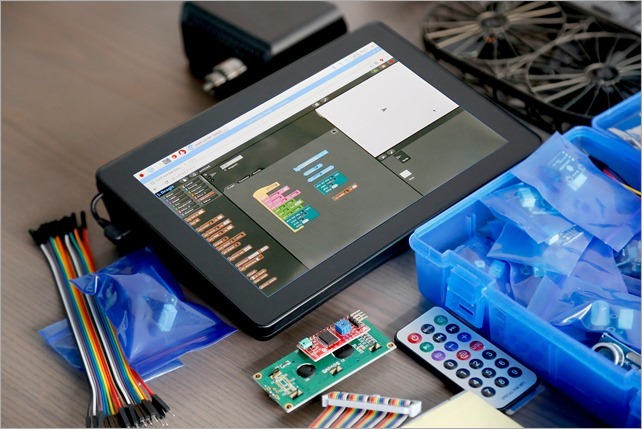 What would you build with a RaspberryPi Tablet? BTW, there's a Community Build of the .NET Core SDK for Raspberry Pi!